A homestead exemption offers property owners in the state of Texas a simple way to save money on property taxes. 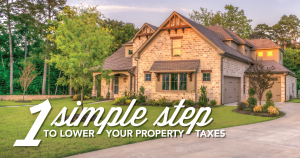 For eligible Texas homeowners, the homestead exemption removes a part of your home’s value (by a dollar amount or percentage) from taxation, which lowers your taxes! Any homeowner who uses their home as a primary residence as of January 1 of the tax year they file for homestead. There are also special exemptions if you are 65+ years of age or disabled. You can only have one legal primary residence so vacation homes and investment properties do not qualify. Applying is easy. The forms are simple and available online for all Austin-area counties. You must file before April 30th to receive your exemption! Simply fill out the form, include a copy of your driver’s license or state-issued personal identification certificate (the address must match the home you are filing for! ), and submit the application. Click your country below to find their form. Word of warning – Don’t be fooled by homestead exemption scams asking for payment to file your homestead. Filing your homestead exemption is FREE! Once you apply, it will take about 4-6 weeks to process. If your application is rejected, you will be given the opportunity to challenge the decision. Each home and county is different so your exemption may vary from home to home. If you have any questions regarding your exemption, contact your county appraisal district’s office. You only need to apply once. Your homestead exemption will last as long as you live in your home. When it’s time to move, you will need to apply again for your new residence. If you have any further questions about the Texas Homestead Exemption, we are always available for your questions. We are your Greater Austin Real Estate Resource!